When exploring the corridors and paths of Machu Picchu, you will be in complete awe of the Inca stonemanship of this ancient city built over 500 years ago. Nestled in the Andean Mountain Range and flanked by majestic peaks, this “Lost City of the Incas” continues to inspire travelers from around the world. 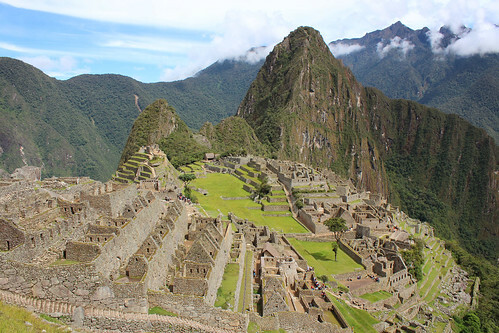 The theories of why Machu Picchu was built in this location vary, but one is that this place was the Inca civilization’s foremost observatory. The Incas relied on signs from the sky and believed that it was through elements of nature that the gods communicated; and when you see this place for yourself, you can understand why. One of the New Seven Wonders of the World, Machu Picchu has just celebrated 100 years of being rediscovered by American historian Hiram Bingham in 1911. After touring the lost city, make sure you hike up Wayna (Huayna) Picchu for an amazing view of Machu Picchu! 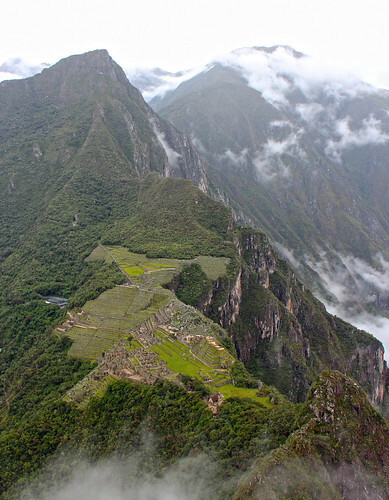 You can follow an Inca path up the side of this mountain to the summit where you will find sacred temples and terraces. A steep, and at times, exposed climb takes a good hour to get to the peak that is 8,920 ft above sea level. You may arrive at the peak of Wayna Picchu out of breath, but the trek is well worth it for the remarkable views. 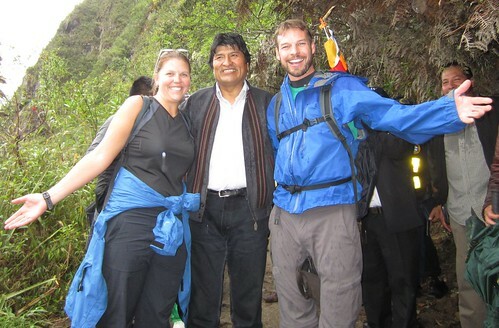 While hiking Wayna Picchu we met up with the Bolivian President, Evo Morales, who was visiting Peru to talk with his Peruvian counterpart Ollanta Humala about integration and tourism exchange. Nicely done Chris. Beautiful shots!